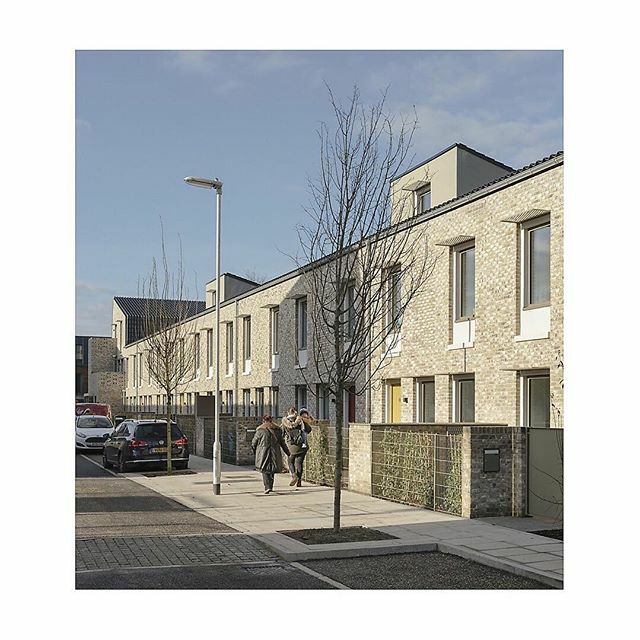 It means such a great deal to be shortlisted for a Housing Design Award this year with our 100% #passivhaus 100% #socialhousing Goldsmith Street scheme for our client @norwichcitycouncil . The scheme of terraced streets, emulating the nearby Golden Triangle district is organised around the principles of sustainability. Low CO2 both in construction and in use, they also strive to promote social connectedness too. Crucially, we drew upon our previous experiences, and viewed this project as housing designers first and foremost, rather than through an eco lens. Great to be shortlisted and good luck to everyone who made the final. 📷 captures recently on site by @timcrockerphotographer . Our Church Walk project where Annalie and David were client, developer and architect on this scheme of four high quality units in the London Borough of Hackney. The development consists of two houses, a flat and a triplex. 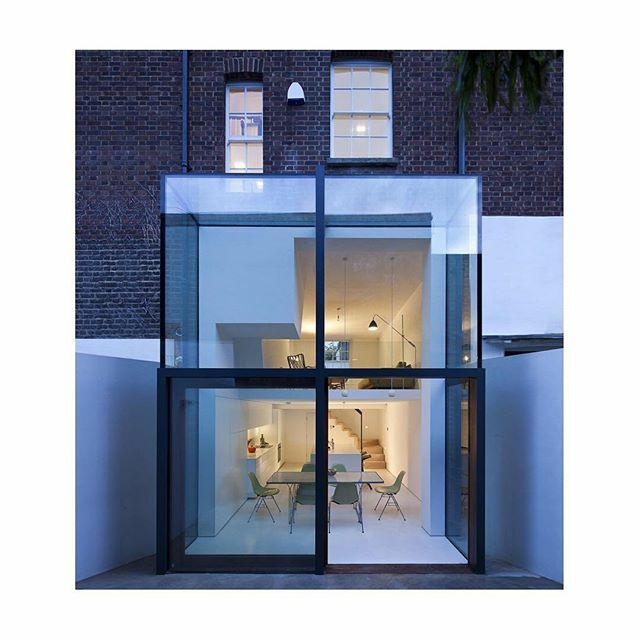 Great news – our Goldsmith Street project has been shortlisted for a @riba East award. 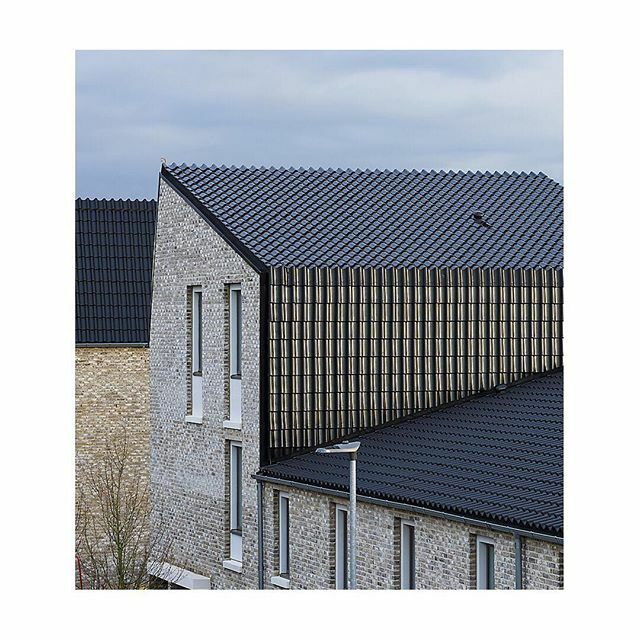 A 100% Passivhaus 100% Social Housing scheme for our visionary client @norwichcitycouncil – you can read more on the detail behind this work via our grid or click the link in our bio. Well done to all other projects on the list. Thrilled to be shortlisted listed alongside you. Finally – the imagery here was captured expertly by @timcrockerphotographer . The Climate Innovation District by @cituuk with @whitearkitekter and Virido in Cambridge by @pollard_thomas_edwards . Delighted to feature and contribute to this edition, which carries such a critical message. It’s been a busy week for our Goldsmith Street project. We hosted a site tour with our client @norwichcitycouncil – thank you to all who came. It was a full house again (more in our stories). Also, this week @architectsjournal published Hattie Hartman’s comprehensive write up on the project. 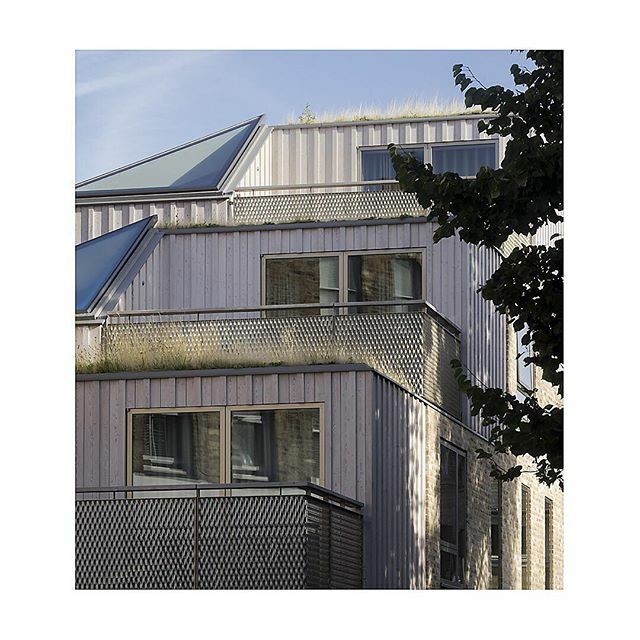 Hattie spoke with a number of us involved with Goldsmith Street, including James Turner our associate – who underlined the point that ‘Passivhaus doesn’t come with a style book, it is down to the architect’ and how we approached this project as housing designers rather than through an eco lens – drawing on our experiences of tight sites in Hackney and Croydon. 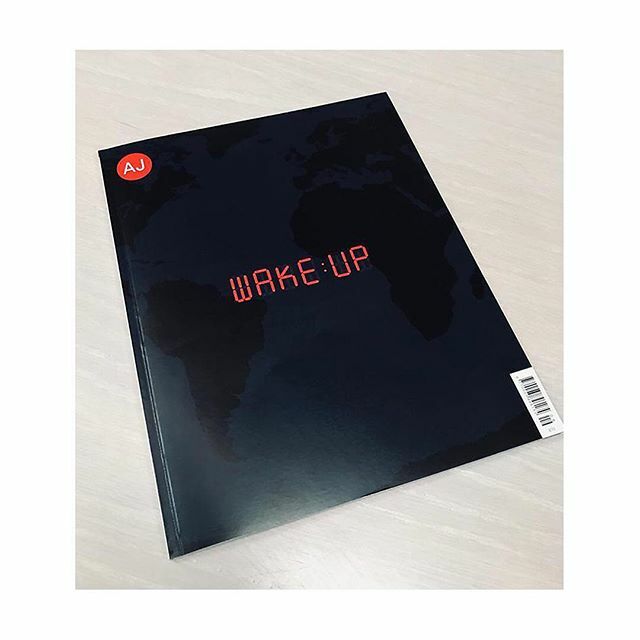 You can read more on the #architectsjournal website on via our own twitter feed. 📷 captured by @t_crock . 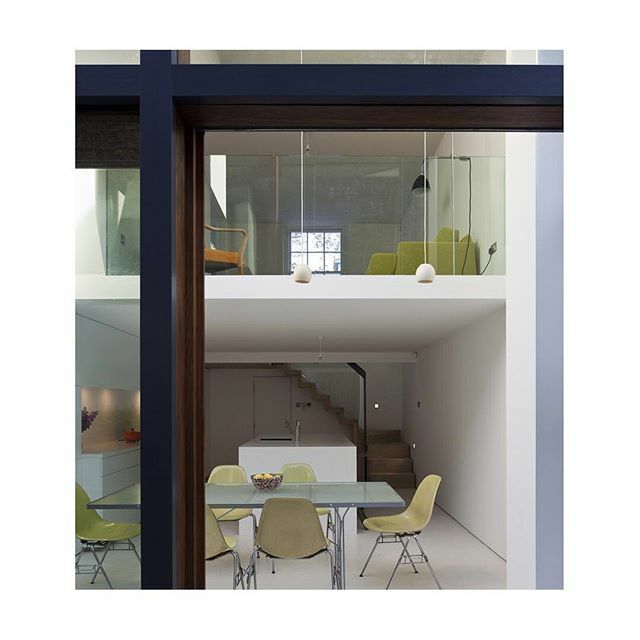 More from our previous project at Hoxton House – this time highlighting the interior. 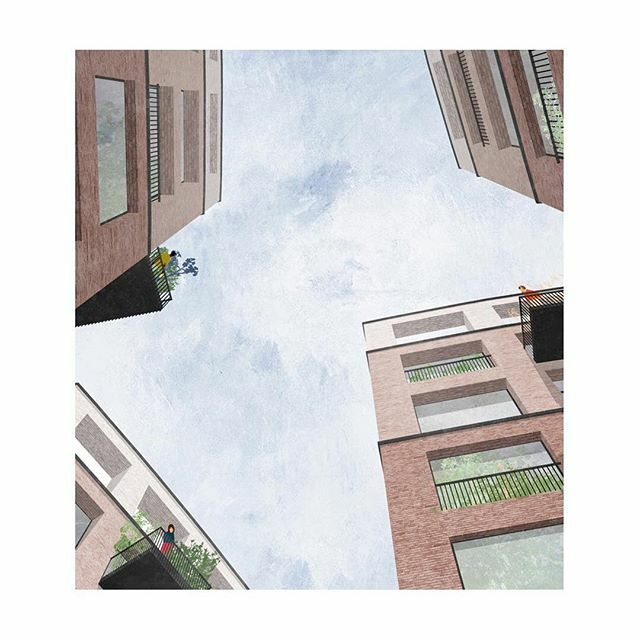 Like many 19th Century terraced houses, Hoxton had a multitude of small rooms – a tiny kitchen in the semi basement, with a head height of 2m, and a courtyard accessed from a cramped staircase. We added an extension of only one metre in depth to the rear, which we explored in our previous post. Whilst modest in scale, it transformed the entire space. It’s fitting that the new @riba award for #housing is to be named in honour of the late Neave Brown. 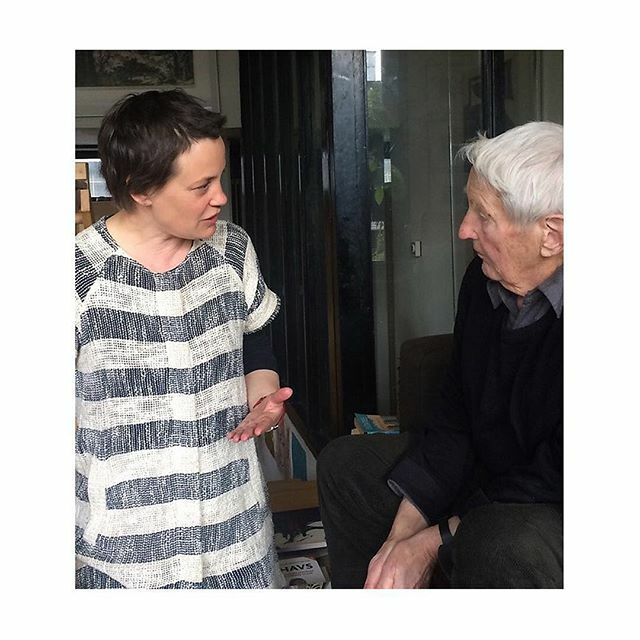 Annalie was privileged to share a stage with him in 2017 when they both presented at the ‘Dialogue on home’ talk – comparing their housing projects, and the changing role of architects in housing development across four decades. A passionate pioneer, and a champion of low rise high density housing too, in which we shared his interest. . 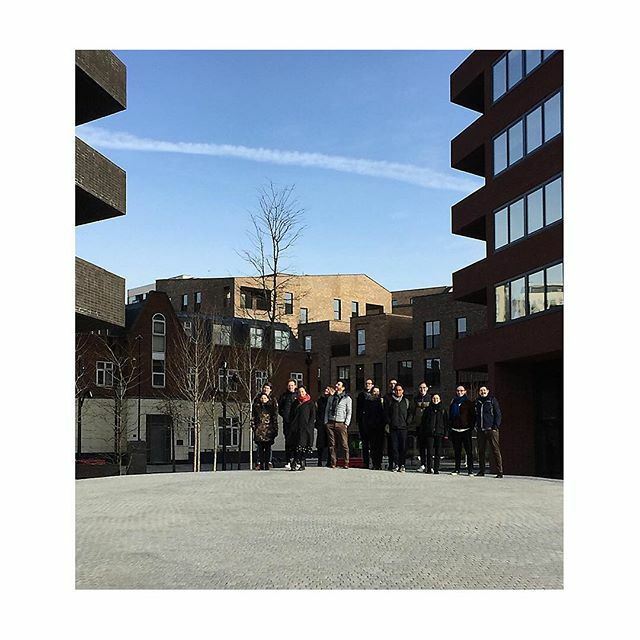 Enjoyed yesterday’s (chilly but superb) team visit to the Colville Estate – our thanks to @karakuseviccarsonarchitects , especially Ailbhe & Stefan for the tour of the fantastic tower & also the medium-rise buildings – commissioned by @hackneycouncil . 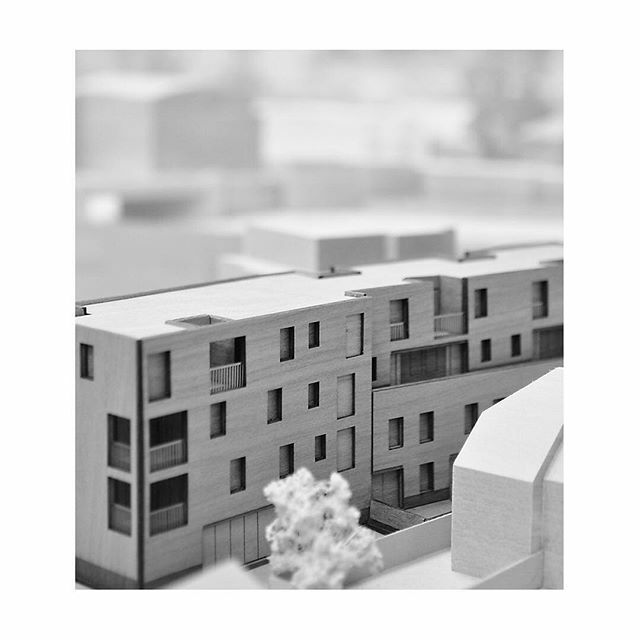 An example of why they, and everyone involved, have been praised for the approach – investing in good architecture and design, quality and sustainable materials, and consultation with residents from project to project. .
Our 1:250 model of Drummond Road, Croydon. It’s part of the Smaller Sites Programme which won #masterplan of the year at the #ajawards in December 2018 for @bxbdevelopment . 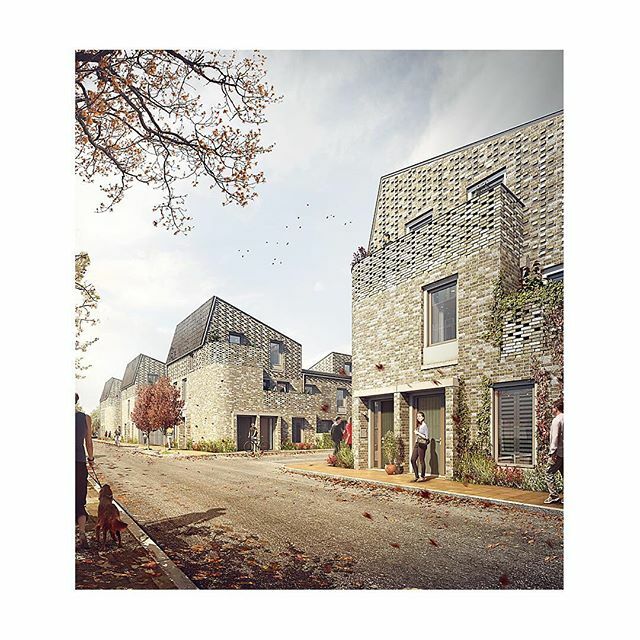 Brick by Brick’s programme includes a collaboration between us and seven other practices to deliver quality private and social housing using infill sites across the borough. As you might have noticed on our Instagram stories above – construction has started on our projects and many of those from practices involved in the collaboration. In a week where Shelter’s Cross Party commission shone a light on the urgent need for more #socialhousing – this is one of the examples where local authorities are leading the way with their approach. 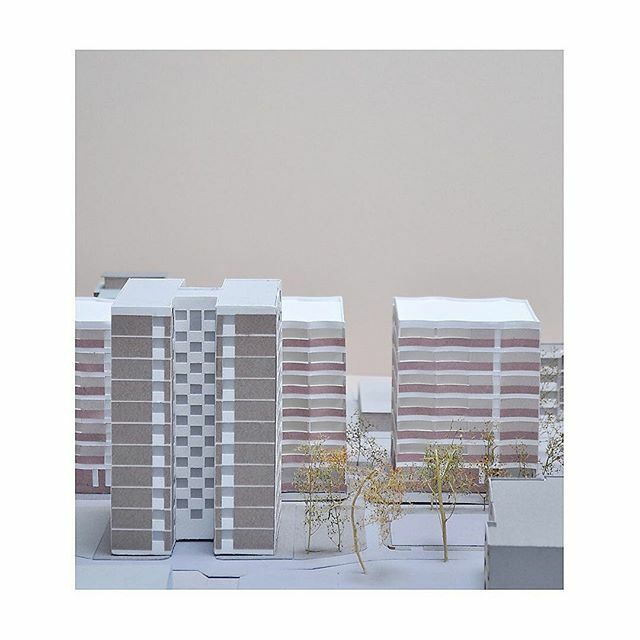 . .
A model of our Buckland Street project for @hackneycouncil . This will be a future part of the local authority’s housing supply programme. 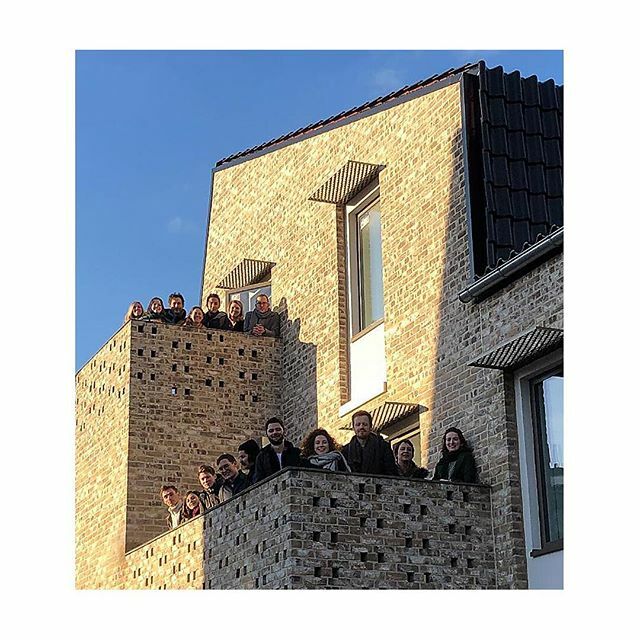 We’ve now released a new film which discusses our work, how and why we do it – from this new housing project in Hoxton, to the regeneration of the brutalist #parkhill to further work on infill sites – this time in Croydon, to our 100% #socialhousing 100% #passivhaus project in Norwich. You can watch via the link in our bio. . Thrilled to see our Goldsmith Street project included in the @guardian best #art and #architecture of 2019 feature today. The project is noted as one of the most impressive social housing developments in the country. Our client, @norwichcitycouncil is acknowledged for boldly leading its creation without a developer or housing association. Great way to start the year for us and for this 💯% #socialhousing 💯 % #passivhaus project – which welcomed its first tenants in December. We are also now new residents in #norwich after opening our new office there last month. Here’s to making more buildings people live in 2019. Happy new year. 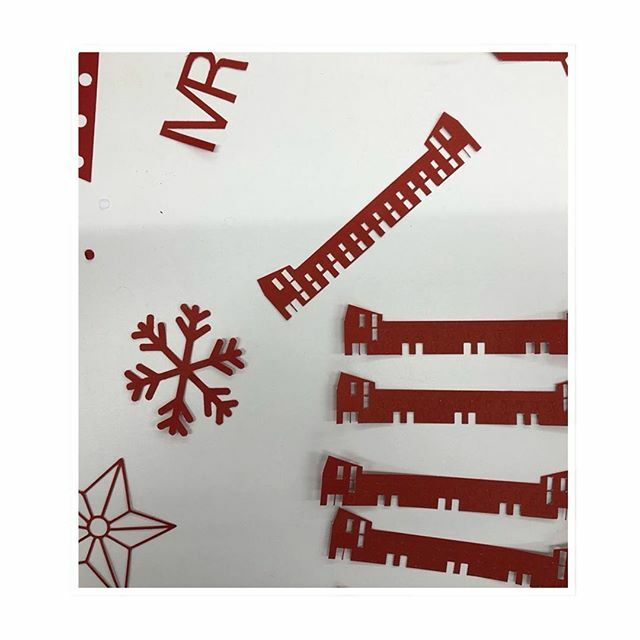 More information via our Instagram stories feature and our website – link in bio. 📷 @arqui9 . As the festive celebrations begin, we’d like to take the opportunity to wish you all a Happy Christmas. (📷 Decorations themed on our Goldsmith Street project, more information via our bio). .
We were thrilled to take part in, and be announced joint winners of the Building Design live crit for @britishlandplc Canada Water regeneration – alongside @sodalondon . Building Design has now published a feature on all proposals, including our own – pictured here on our grid. Our design draws heavily on the shipping history and heritage of the area, which our founding director, Annalie, has a strong connection with – having spent many weekends as a teenager sailing and canoeing in nearby Greenland Dock. See stories for more info on the feature. . This week the @bxbdevelopment Croydon Smaller Sites programme was awarded the @architectsjournal Master Plan of the year at the #ajarchawards . The judges commented that ‘it was a truly pioneering piece of pan-borough urban thinking.’ We’re proud to be part of the team of architects collaborating on this project. Well done to all involved. 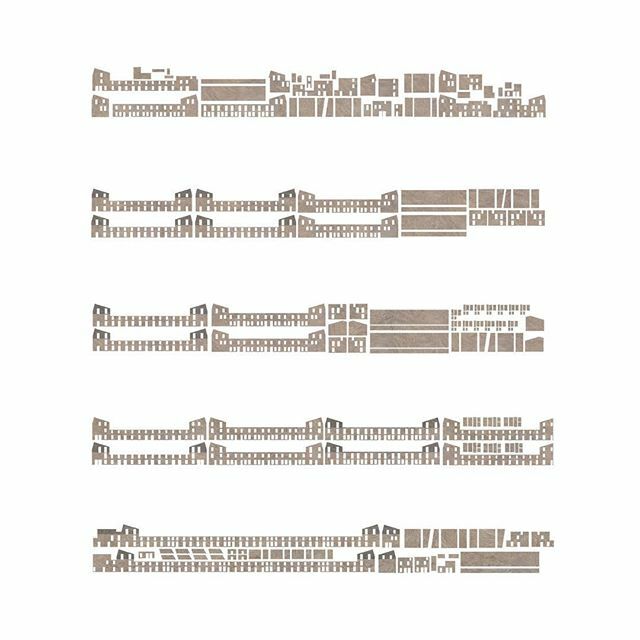 @bxbdevelopment @htadesignllp @vppr_architects @maearchitects @stitch_architects @coffeyarchitects @commongroundarc @pitmantozerarchitects 📷 of our Croydon Drummond Road model. .
Sunday throwback – an abstract cut out of Goldsmith Street – taken from the model making process for the project. We’ve recently handed over the first few units to our client @norwichcitycouncil . 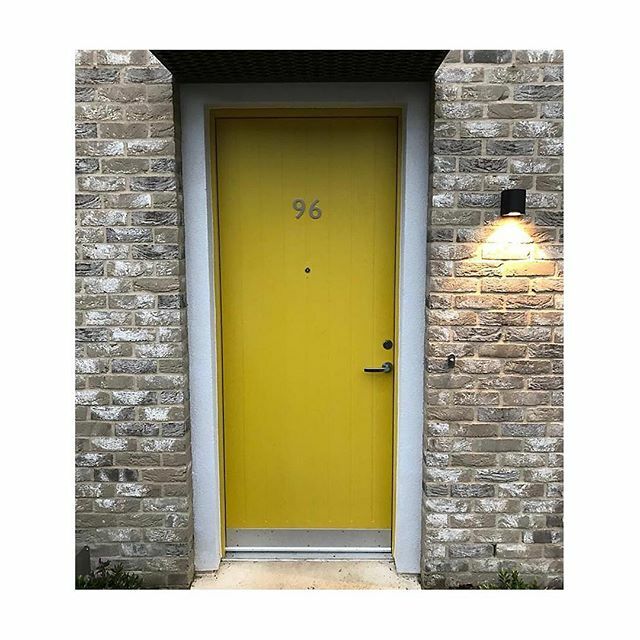 100% social housing, on track to be Passivhaus certified. .
One of the doors of our award winning Goldsmith Street project. The accompanying image (swipe) is one of the Victorian front doors situated close to the site. 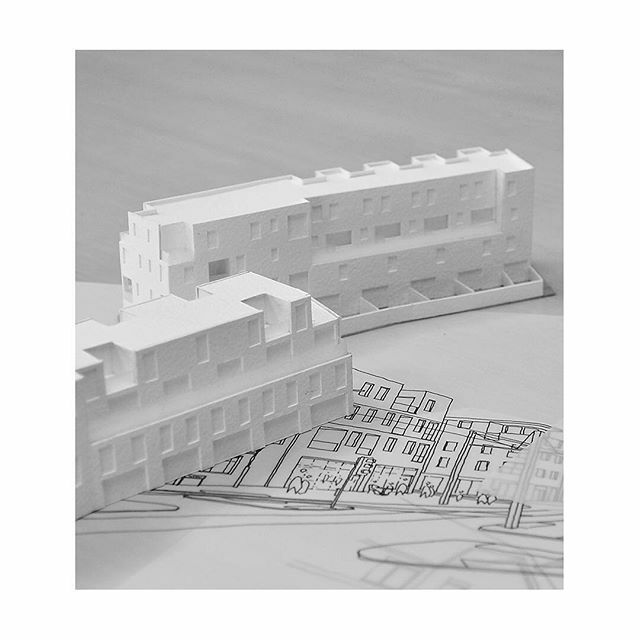 Our design is sensitive to nearby Victorian housing, and has introduced streets and housing to an area that has until recently been dominated more by flats. This last week has been a significant milestone for the project – with the first eight units now officially handed over to our client @norwichcitycouncil . In the same week, we were also delighted to see our client pick up a Green Build Award for the project from CPRE Norfolk. . Yesterday we delivered a session at the UK Passivhaus Conference in Leeds – sharing our story on the 100% #socialhousing and 100% #passivhaus project at Goldsmith Street, #norwich – alongside our client @norwichcitycouncil . Great to be part of it and to share and hear about projects with good design, people and place at their core – as well as energy efficiency. 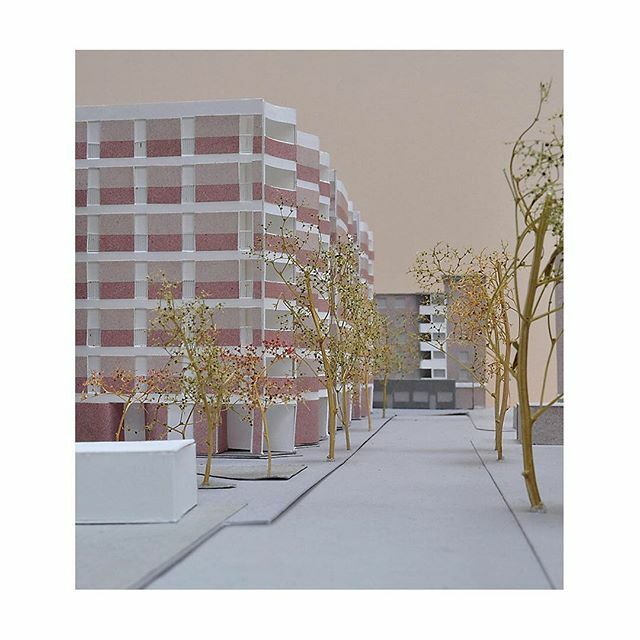 A view along Buckland Street from our model for the project of the same name for @hackneycouncil . 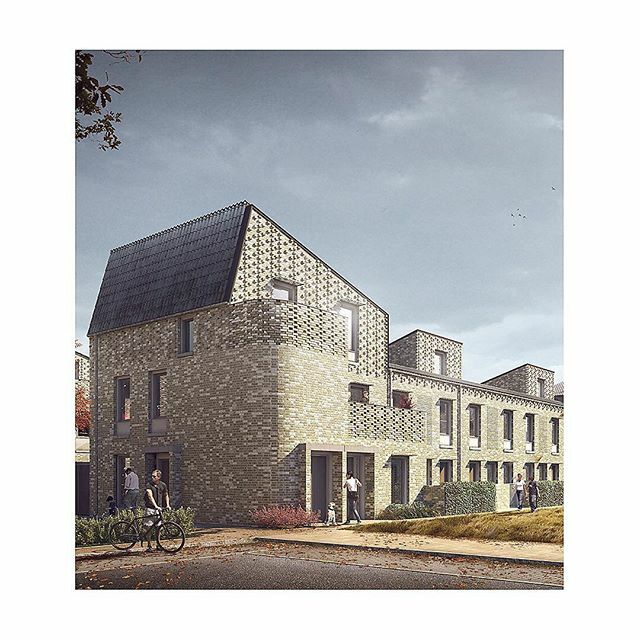 Currently in development stages – this, along with our Wimbourne Street project will be a future part of the local authority’s housing supply scheme. 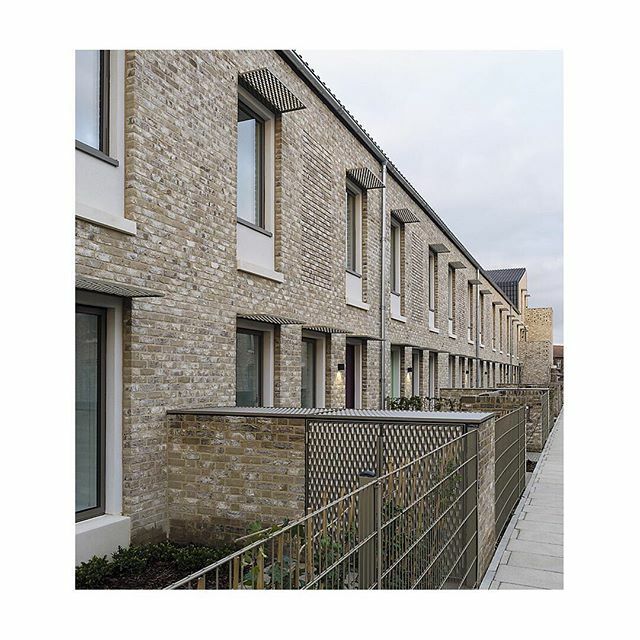 Hackney has been singled out for delivering some of the best new #socialhousing – and for simultaneously providing part and private ownership options. Good design, investment in quality, sustainable materials and consultation with residents from project to project continue to underpin their approach. .